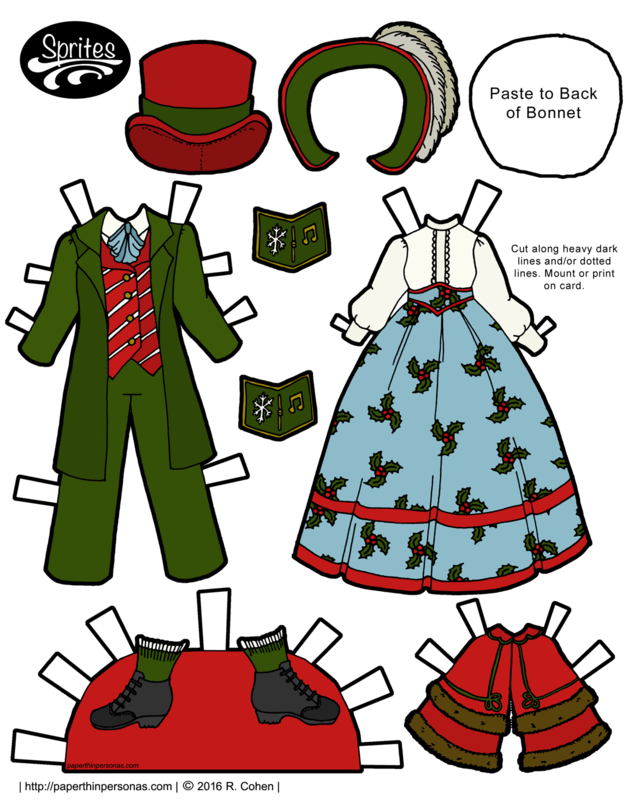 Welcome to the world of Christmas paper dolls! Your first foray into the genre is awesome! These are really lovely. Very adorable outfits and Merry Christmas! these are fun and capture the spirit well! love the holly pattern on the dress! I like your Christmas Carolers outfits very much. I celebrate Christmas and these outfits will be a nice festive addition to my Christmas decor:) Merry Christmas and I wish everyone a happy pleasant day whether they celebrate specifically or not. These are beautiful! What a wonderful set. I didn’t get in the Christmas spirit this year as much as I usually do, don’t know why. Oh, well. Hope you have a very Happy Hanukah.